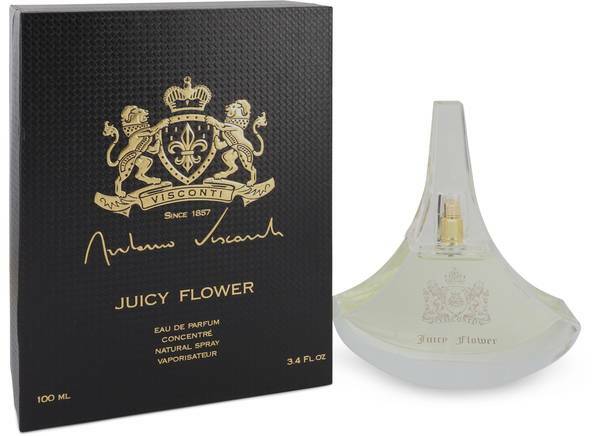 Antonio Visconti Juicy Flower Perfume by Antonio Visconti, Antonio Visconti Juicy Flower is an intoxicating fruity floral fragrance that layers luscious tropical accords and luminous florals over a powdery, woody musk base. The opening is a shimmering, effervescent blend of mouthwatering green apple, bergamot and zesty lime mingled with fresh, lush magnolia, ripe peach and delicate nuances of pink pepper. As the scent settles, a paradise garden blooms with velvety red rose and jasmine, Read More Read More supported by plush, creamy accords of coconut and delicate apricot. Base notes of lovely aromatic cedar and soft sandalwood merge with earthy-sweet patchouli and vanilla for a mesmerizing and magnetic powdery musk finish. 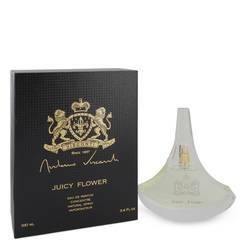 Juicy Flower was created by Italian luxury designer Antonio Visconti. House scents are packaged in a distinctively designed bottle inspired by the lunar phases. Other popular unisex scents by the label include Extrait de Cedrat, Esprit Libre, La Divina Tuberose, Oud Maharaji, Oud Nomade, Silver Wood, Sea Island and Black Tear. All products are original, authentic name brands. We do not sell knockoffs or imitations.